The Battle of Monck’s Corner was fought on April 14, 1780, outside the city of Charleston, South Carolina, which was under siege by British forces under the command of General Sir Henry Clinton in the American Revolutionary War. The British Legion, under the command of Lieutenant Colonel Banastre Tarleton, surprised an American force stationed at Monck’s Corner, and drove them away. The action cut off an avenue of escape for Benjamin Lincoln’s besieged army. Even after the British operations were underway, troops continued to arrive in the city to assist in its defense. On April 7, after the British had begun establishing siege lines around part of the city, a regiment of Virginia Continentals arrived in the city. Clinton learned that a supply train, which was actually the baggage train of this company, was nearing the city, and decided it was time to cut the supply route. He detached 1,400 men under Lieutenant Colonel James Webster to go inland about 30 miles (48 km) to Biggin’s Bridge on the Cooper River to intercept the supply train. In order to protect their own lines, the British needed to face General Isaac Huger and his detachment that Lincoln had stationed at Monck’s Corner. Huger’s force included a company of local militia and elements of Pulaski’s Legion. Webster sent Tarleton ahead of his column with the British Legion and a company of marksmen. On April 12, still more than 15 miles (24 km) from Monck’s Corner, Tarleton stopped a slave carrying a letter from Huger to Lincoln, and learned from the letter and questioning its carrier the nature and disposition of Huger’s force. 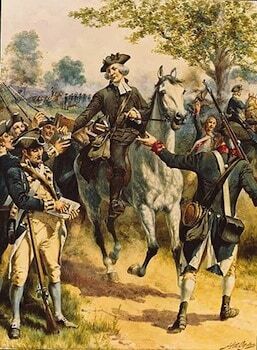 His troops then marched the next day in order to plan an early morning attack for the following day. The British attacked at 3 am on April 14, quickly pushing the sentries back into the main camp. What followed quickly became a rout. 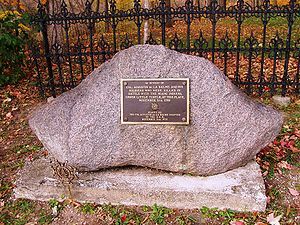 In the end the British lost only two men, the Americans lost five officers and fifteen privates killed or wounded, seven officers and sixty men were captured. The biggest prize was 184 horses, of which 82 were trained cavalry mounts, which Tarleton desperately needed. Following the battle, some of Tarleton’s Loyalists committed some “irregularities”, allegedly including “attempts to ravish several ladies” who lived in the area. A number of the British officers present were offended by these acts, and the perpetrators were sent back to the British camp outside Charleston, where they were eventually whipped for their transgressions. Some of the scattered remnants of Huger’s force made their way north and east. They eventually regrouped under Colonel Anthony Walton White, but were again scattered by Tarleton at Lenud’s Ferry on May 6. Lincoln was forced to surrender Charleston and more than 5,000 Continental Army troops on May 12. It was the worst American loss of the war. The United States Army did not suffer a loss of similar size until the First Philippines Campaign of World War II.